Reports and (sometimes) photographs are posted here. If you have any additional comments or photographs, we would be happy to receive them. Jane Miller is a professor emerita from London University Institute of Education. She has written several books and will bring copies of “Crazy Age” to the seminar. Robert Shaw is a pharmacologist and chemical engineer. He shares his life between Kuopio and Manchester. Guests will need to book in advance through the Finnbrit website www.finnbrit.fi and bring a photographic ID to gain entry. Join us this June for one of the trips of your lifetime, via our annual summer Finn-Brits tour, this time to the Scottish highlands and islands! Once again arranged by Rabbies Tours, our 2018 Orkney and Shetlands tour follows our most-successful ever 2017 southern England tour, last June's In the Footsteps of Jane Austen, Virginia Woolf, and the Crawleys of Downton Abbey. The 7-day 2018 trip will begin in Edinburgh on June 8th or 10th (depending on confirmation of the summer ferry timetables), and is expected to cost between €1340 and €1410, based on 16 or 14 passengers, respectively. The tour cost will include transportation in Scotland, guide service, entrance fees, breakfasts and lunches, and rooms in 3-star hotels (based on a shared double or twin room with en-suite facilities), with one night in Inverness, two nights in Orkney, and one night in Shetland. There will also be two overnights in shared cabins on Northlink ferries between Orkney-Shetland (ca. 8 hours) and Shetland-Aberdeen (ca. 13 hours). Participants will book and pay for their own flights to and from Edinburgh. The tour package also does not include evening meals, drinks, porterage, or tips. As a 16-passenger mini-bus will be used, a maximum of 16 participants can be accepted. Should more than 16 wish to go, participants will be accepted in the order they have registered and paid. Should fewer than 16 be interested, the tour can also be arranged with 8-12 participants at a slightly higher price. 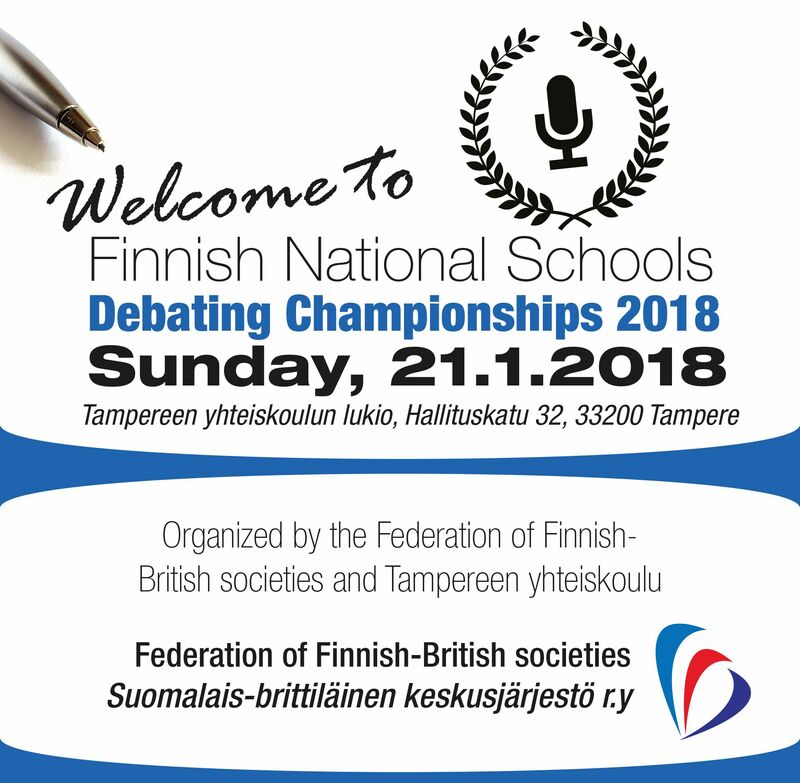 Reservations can be made by (a) informing tour organizer Kaarina Ojasti at Kaarina.Ojasti@elisanet.fi (who can also answer any questions) and (b) paying a non-refundable €100 per participant to the Federation of Finnish-British Societies' bank account by January 31st (Suomalais-brittiläisten yhdistysten keskusjärjestö ry FI4166010001093285). Please note that this is a different account from that of the Tampere Finnish-British Society! If last-minute registrations result in more than 16 who wish to participate, the fees for those who cannot be accommodated will of course be refunded. As soon as the Northlink ferry schedules have been confirmed so that exact tour dates can be finalized, we will recommend flights between Finland and Edinburgh offering the best connections to the tour. Ideally we would start by mid-day directly from Edinburgh airport, and also conclude the tour at the airport for a same-evening return flight. However, the tour arrangements allow one to arrive earlier or extend their stay in Edinburgh, so you can arrange your travel as it best suits your wishes. For those who want to spend extra nights in or around Edinburgh before or after the tour, we can recommend a range of good, reasonably-priced hotels.